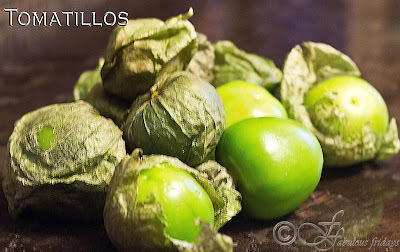 Salsa verde is a simple fresh tasting salsa made using green tomatoes or tomatillos. This earthy salsa is traditionally pounded to a smooth paste in a mortar and pestle, but a food processor works just as well. 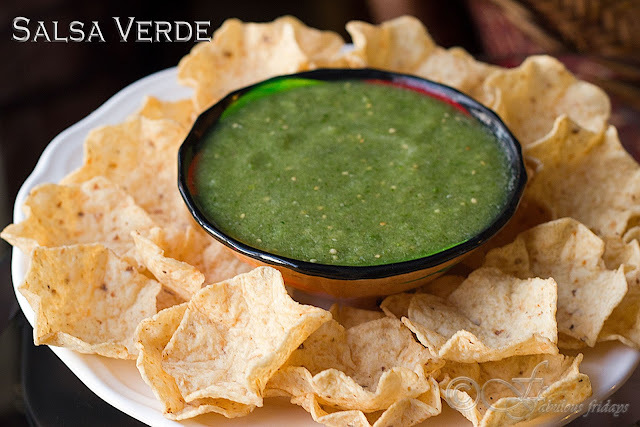 Once you make this at home you will never want to go back to the store bought salsas. 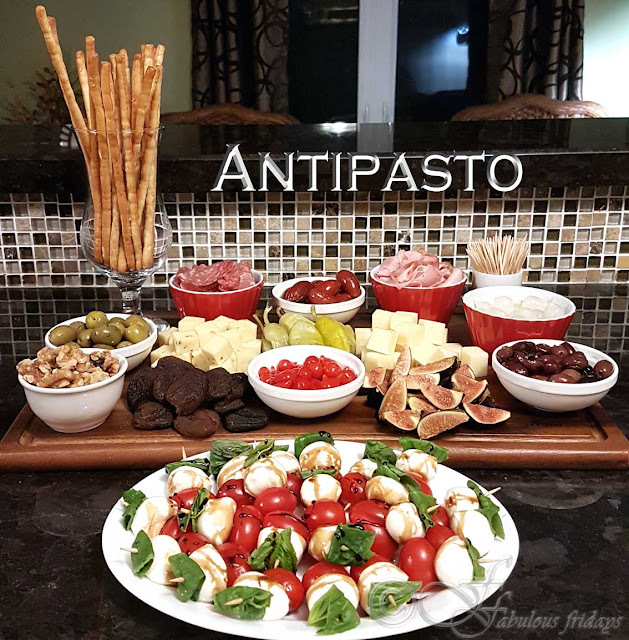 It's perfect for dipping with tortilla chips and can be used in other recipes such as enchiladas, burritos and wraps, etc. Tomatillo salsa can be made in two ways. Raw or roasted. Both taste great. Choose your option based on prep time available as the roasted one involves some cooking time. I must say the cooked version has an earthy smoky flavor. Roughly chop all the ingredients and place in a food processor. Start with one chili and add more as needed, depending on how spicy you want your salsa. Blend until your salsa has reached a smooth consistency. If you like it chunky then pulse a few times to obtain that consistency. Place tomatoes, chilies and garlic on a foil-lined baking sheet and broil on high. Turn them often. Cook till you see charring (blackened spots) and everything cooks through, takes about 10-15 minutes. Chilies and garlic will be done before the tomatoes. Remove as each ingredient is done. Cool. Place everything in a food processor and puree until smooth. Small chunks are okay if you like your salsa a bit chunky.